Mom remembered her dad’s concern. She remembers how he put his arm around her mom and told her, “Be careful, Emily.” A last minute encouragement because he was worried about how she would be able to manage the team she was going to be driving. No doubt he knew the road through the valley would prove a challenge. 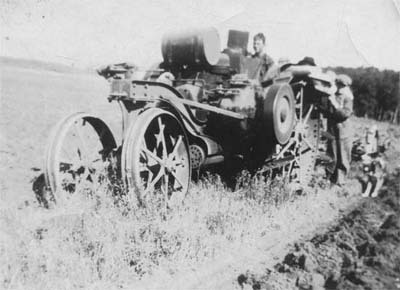 He had his threshing machine loaded up and the team hitched to it; he was moving it across the border into Manitoba to do some threshing for a farmer there. Mom F, a young girl standing in the yard observing this scene, recalls that her Dad was going on ahead and her Mom would follow him with another team. The valley of the Assiniboine River cuts a deep gouge along the border between Saskatchewan and Manitoba. On the west side — the side Allen would be going down into the valley — the hill was steep where the road snaked down into the flats. 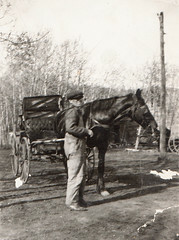 Allen was a good horseman, but it’s not hard to imagine that a heavy threshing machine would be hard to pull down hill. All that weight would want to roll forward and be hard to control, especially on those curves. How he had it loaded and where he was standing as he held the reins we don’t know, but part way down hill the cumbersome machine started to roll and then tipped over. Allen was thrown underneath it and crushed; his body was taken to nearby Russell, Manitoba and his death registered. It was November 16th already; someone has suggested maybe during that trip his thoughts wandered to the hunting he’d be doing come winter. But I’m sure it comforted Grandma, and even her young daughter standing near, to know that his last spoken words were concern for her. Someone has said — and it’s a great thing to remember — we need to keep our parting words kind because we never know if they will indeed be the last we ever speak to that person. This entry was posted in Allen Vance Sr, Myrtle Forsyth, Vance Family and tagged accidents, children, family, farming, history, safety, work. Bookmark the permalink. Is there anyone who could message me and help me understand my family? 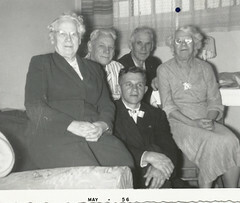 My mom is Lorraine Vance and her father is Wilfred Vance and her mother Louise Harman. 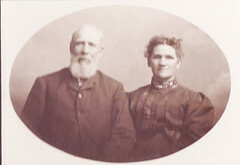 My great grandparents are Emily Turner and Allen Vance. 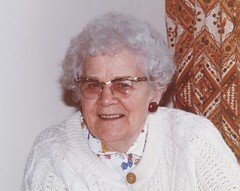 I don’t know much about my family, so any information would be gratefully appreciated. Hi Brandi! I took your e-mail out of the comment and have replied separately. You come in under the Allen Vance family. If you look at the picture that’s posted on our page, you’ll see your Grandpa Allen seated, with Jim, Donna, myself, Rose, Wilma, and your Mom around him. This was taken at the time of your grandma Louise’s funeral. Where is the photo located exactly? On the right side of this Home Page there’s a blog for photos. You have to click on “More Photos” to see all the ones Linda has posted. I have an e-mail copy, though, if you can’t find this one. thanks for this insight into my grandfather’s death. I knew that he was killed in a threshing machine accident but I never thought of the threshing machine being pulled by horses, but of course it would be. It would be really helpful to research the local newspapers of that area and see what was reported about the incident and about the weather around that time. This was SK and MB after all; were the local farmers still threshing in the middle of November –or was he doing an end of the season job for someone? Was there snow on the ground? Were the roads icy? I can’t ask the family those details any more. However, I thought Mom F said once that it was a nice day.